Going solar using online solar tools and applications like the EnergySage. It is interesting how technology is evolving every year helping individuals work efficiently while reducing the overall time used to do any job. You can think of all the technological changes in any industry from automated manufacturing, electric vehicles, solar powered airplanes to cellphones. Technology advancements continue to transform how we do things with the aim of increasing efficiency and making work easier, but is the solar industry experiencing this technological change? Find out here how this technological change especially with regards to software applications and tools is revolutionizing how business is done in this growing sector. Reaching Solar PV grid parity. When it comes to technological changes, breakthroughs in solar PV have resulted to reducing the overall cost of switching to solar. With more and more research and development being conducted by private companies as well as government agencies, the solar panel cost will continue to decrease and eventually reach grid parity, a point where solar energy competes well with other sources of energy. When solar energy reaches this point, governments will no longer have to provide subsidies or incentives to make solar affordable to consumers. Grid parity for solar means solar energy will provide great savings for individuals and businesses will improve the bottom line through reduction of their annual or monthly energy bills. However, in some countries, solar energy has already reached grid parity. The numbers show about 19 countries had reached grid parity for solar PV systems by January 2014 and Germany was the first country to reach parity for Solar PV in 2011 and 2012 for utility-scale solar and rooftop solar PV, respectively. The solar PV technological breakthrough is not the only one spurring the growth of the solar PV industry, but also software development is revolutionizing the solar industry by changing how business is done in this sector while increasing efficiency and solar adoptions at the same time. Several software applications and tools have been developed to help consumers adopt or switch to solar as easier as possible. These applications and tools are aimed at increasing solar sales and solar adoptions by assisting homeowners and businesses make more informed decisions easier and faster. Some of these software applications can be downloaded onto your cellphone or uploaded to your computer to help you determine your solar energy profile, the solar panel cost, how many solar panels you need or how much it cost to install solar. Some of these tools and applications include the PVWatts Calculator and SAM Model developed by the National Renewable Energy Laboratory (NREL), EnergySage and the list is long. The System Advisor Model (SAM) is a performance and financial model designed to facilitate decision making for people involved in the renewable energy industry. According to NREL, SAM helps to conduct pre-feasiblity analysis of renewable energy projects such as solar PV projects by making performance predictions and conducting cost of energy estimates for grid-connected power projects based on installation and operating costs and system design parameters that you specify as inputs to the model. It is used mainly by project managers and engineers, policy analysts, technology developers and researchers. PVWatts is a simplified form of the SAM model that is only used to determine the technical and economic potential specifically for solar energy projects. EnergySage is another tool or online solar marketplace that is available for homeowners as it is simplified and the only thing you do is type your home address to provide you with a free, instant solar report for every house in the US. It simply allows you to use the location feature to tell you how much energy your home can produce with solar panels, how much you can save with solar, including how much carbon dioxide you can reduce by switching to solar. This online tool is developed and patented by EnergySage and enables U.S. consumers to compare solar installation and financing plans using the company’s online solar market place. It is a powerful tool as it can help homeowners answer the questions: Are solar panels worth it? How much does solar panels cost? or how many solar panels do I need? Using this app or tool, EnergySage provides access to the inventory of solar equipment distributors while providing solar panel layouts that fit your specific rooftops and modeling your solar energy profile. It also models your environmental and economic benefits of you switching to solar; presents certified solar installers in your area; and compares financing options suitable for you based on your specific characteristics of your home. 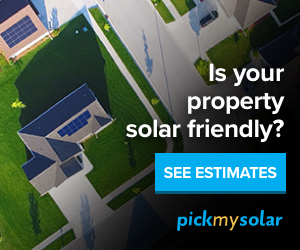 With this tool or application, homeowners are given the opportunity to view the details of different solar energy plans as well as their upfront costs, ongoing payments, incentives and savings and their energy bills. To instantly start using this tool on your computer you can view it here and you can access your solar energy profile and determine how much you can save with solar.